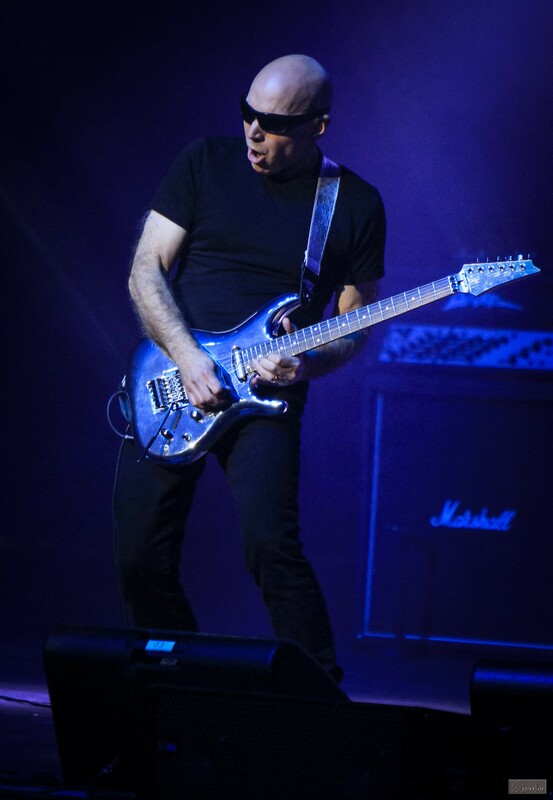 Interview: What Happens Next With Joe Satriani - Welcome To All That Shreds Magazine! For most musicians, just being nominated for a Grammy is a dream come true in itself. However, being nominated for the Grammy Award a total of fifteen times and selling over 10 million albums makes Joe Satriani incomparable to most musicians. The Midas of all instrumentalists, it would be nothing but fair to say that Satriani indeed turns everything he touches to audio gold. Joseph “Joe” Satriani is an American born and bred multi-instrumentalist best known for his career as a rock guitarist. Influenced by the death of the legendary Jimi Hendrix, Satriani was drawn to the world of guitars at the age of 14. How he started to play the guitar is a narrative made of the history books. He heard of Hendrix’s death on the football field during football practice, walked off to his coach and informed his coach of his decision to quit to become a guitarist. He fell in love with the legend Hendrix was and today; he is nothing short of extraordinary himself. In 1978, Satriani moved to California to pursue a career in music. He started teaching the guitar during this period. His skills on the guitar and fluid communication methods as an instructor-led to numerous of his former students achieving unparalleled levels of success. Some of his former students include Steve Vai, Rick Hunolt, Larry LaLonde, Kirk Hammett and Charlie Hunter. In 1986, Satriani released his first studio album titled Not of This Earth. It drove in successful critical acclaim and led to Satriani recording his second solo album, Surfing with the Alien, the very next year in 1987. It was the first all-instrumental solo album to perform as well as it had and to have become a radio hit since a significant number of years. The news of his talent spread like wildfire through people who had witnessed his firsthand success. In 1988, a decade after he became a teacher, Satriani was recruited by Mick Jagger as lead guitarist for Jagger’s first solo tour. In 1989, Satriani released his third album Flying in a Blue Dream, inspired by the death of his father who had passed away during the making of the album. In 1992, Satriani released The Extremist, which has proven to become the most critically acclaimed and commercially successful album of his to date. With one successful solo album release after the next, Satriani soon rose to worldwide fame. In 1993, he was invited to join the incredible Deep Purple as a temporary replacement for Ritchie Blackmore who had just left the band. With 15 albums released since 1986 and with 15 Grammy Nominations, Joe Satriani is a name recognized across the world, from every corner of the United States to developing nations across Asia. He is considered to have mastered challenging performance techniques on the electric guitar. Influenced by blues-rock guitar icons such as Hendrix and Clapton, he is skilled alternate picking, legato, harmonics and extreme whammy bar effects amongst various skills. The fact that a significant number of his students have achieved critical commercial success is only a reflection of the master’s trade. It’s a pleasure following Satriani’s success, and we’re just around the corner – waiting for his first Grammy win because it’s about damn time. I spoke with Satch about What Happens Next while he’s rehearsing for a G3 concert. Did you do anything differently regarding preparation to record this album vers others? JS: When you see the documentary “Behind The Supernova” you will see how I went through a cathartic process to find a new creative space to write from. However, It still comes down to me and my guitar, reaching for something challenging and emotionally intense. How was it working with Glenn Hughes? JS: Glenn is an original, through and through. He has an effervescent musical personality that infuses and lights up everything he plays on. He’s also a genius on the bass guitar! Describe how What Happens Next is different creatively from your other records? JS: The album focuses almost entirely on human themes, our dreams, wishes, and desires. No science fiction! What is your favorite song on What Happens Next? JS: Everyday I change my mind! What’s yours? I like all of the songs! How do you choose the guitarists that join you on the G3 tour? JS: I look for unique talent, strong personality and the promise of a special chemistry between all three of us. The chemistry part is the most important. Previous Previous post: Does Ritchie Blackmore Have Anything More To Prove After 50 Plus Years Of Playing Guitar?